Wow, it’s just been forever since we’ve posted on here, and let me be the first to apologize for our disappearing act. We’ve definitely been here, behind the scenes, doing what we do. I promise to post a couple of update posts about all of that shortly. PROMISE!! Lately we’ve been getting a lot of requests about veterinary help for people whose dogs have been injured. These are people who want to keep their dogs but don’t know where to turn for help. Puggles & Pitties is definitely not in a position to pay for vet care for dogs in need, but there are many resources out there and several websites that have created summaries about where to go for help. Here’s some information to get you started in your search. 1. Check with your veterinarian. If there’s anyone who understands you and your bond with your pet, it’s the doctor who has seen the care you provide on a regular basis, not just during emergencies. Can they offer a “friends and family” discount? Will they accept a payment plan? 2. Care Credit. If your vet can’t work with you, try applying for Care Credit. This is a credit card that is specifically to be used to cover the expenses of medical care, be it a veterinary bill, a new pair of glasses for yourself, or a sudden trip to the ER for your son who almost landed that killer 360 on his dirtbike. Because it’s a credit card, it can be used as payment at any medical facility that accepts credit cards. If you use a doctor who “accepts” Care Credit, they may have additional financing options available when you use the card. In our experience with Care Credit, we’ve never been told that someone doesn’t accept it, as it really is just like a credit card as far as the medical establishment is concerned. Find more info about Care Credit at http://www.carecredit.com. 3. Borrowing money from friends and/or family. Only you know whether this is an option or not, but if it is, don’t overlook it. Hand-in-hand with this topic is the idea of crowdfunding. There are many websites that will allow a person or organization to create a “campaign” asking for money for just about anything they want/need. People then decide whether to donate to that cause or not. Some of these sites include FirstGiving, Indiegogo, CrowdRise, and YouCaring. If you have a lot of friends/followers on social media that are also animal lovers, this may be a good option for you. The idea behind these campaigns is that if you have 500 Facebook friends and they all donate $2, you’ve just raised $1,000 toward your cause. In order for this to work, you need to have access to those contacts who may be willing and able to donate. If you create the campaign in hopes that random people will somehow find it and decide to donate, it is most likely not going to be a successful campaign. 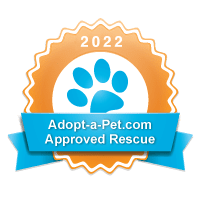 With the help of the internet and my best friend, Google, you can find a plethora of organizations that will help people with emergency veterinary expenses. These organizations generally have guidelines as far as who they will and won’t help (based on breed of dog, type of medical care needed, where they are in their fiscal year, etc). The guidelines don’t always make sense to people who are desperate for help, but they are usually there because of the organization’s charter, not because they’re trying to be difficult or because they don’t want to help you. Read the guidelines carefully, and only apply to those that are truly applicable to your situation. This is a good time to mention pet insurance. Policies range from emergency care to comprehensive care, and cover the gamut of things from car accidents to routine vaccinations. Premiums vary based on the amount of coverage you elect. We ALWAYS recommend that adopters purchase an emergency policy at the very least. It’s one of those things that you hope you never have to use, but if/when you do, it’s a really good thing to have, and can remove a lot of the stress of an unexpected vet bill. Google “pet insurance” to see what options are out there. Ask your vet if they accept any pet insurance; that might be an easy way to determine the company that’s best for you. Remember – you need to have the policy in place BEFORE you need it! When your beloved pet is faced with a medical emergency, it’s very natural to panic when you see the initial estimate of care. Take several deep breaths. Let the vet know of your financial hardship. If you know you can cover part of it, let them know what you can cover and see if they can take whatever life-saving measures are possible within that range while you work on finding the rest of the money. They don’t want to see you lose your best friend any more than you do and will usually do whatever they can to help you and your beloved family member.